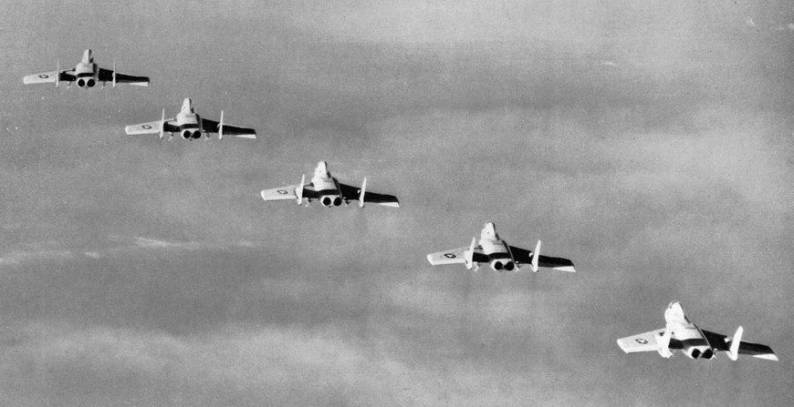 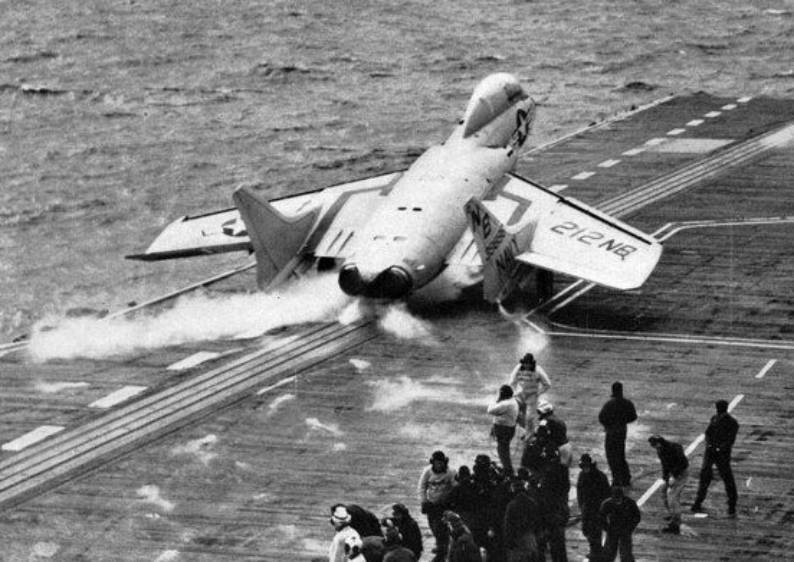 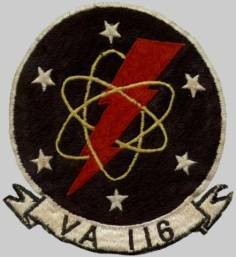 Sep 1957: The squadron, embarked in USS Hancock (CVA-19), was on station off the coast of Taiwan due to a build-up of Chinese Communist forces on the mainland opposite Taiwan. 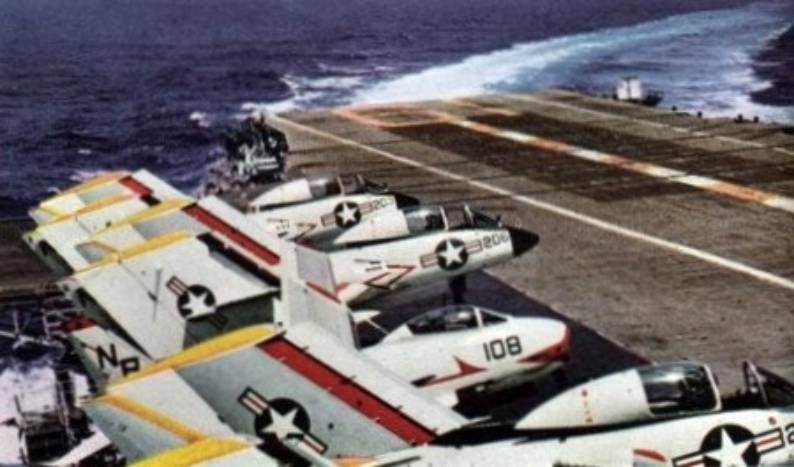 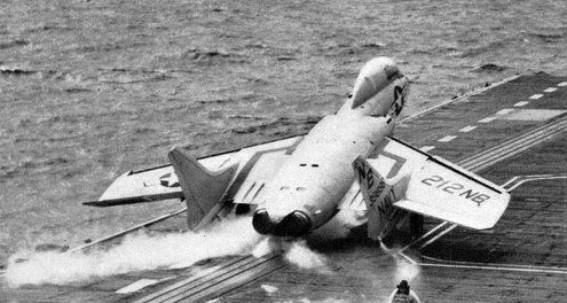 26 May–18 Aug 1958: The squadron was embarked in USS Ranger (CVA-61) during its transit from the east coast, via South America, to its new home port at Alameda, California. 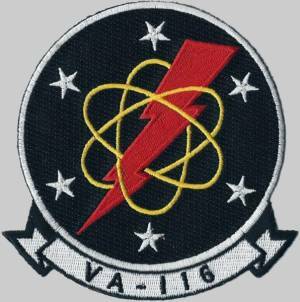 Jul 1959: The squadron, embarked in Ranger, maintained station off the coast of Taiwan due to increased tension between Taiwan and Communist China.